LOGIC AFS is a complete software solution for AFC companies. The software is one of the best selling software with unmatched modular solution with powerful tools. The tool takes care of each and every requirement of a retailer, distributor, manufacturer of footwear and apparel manufacturing companies and retail stores, etc. The software provides a comprehensive solution for accounting, sales, purchases, order management, production , e-Commerce , B2B and MIS Reporting. Enables managing the faranchised stores, assit in documentation for franchise agreements, integration of receivables and collecion with accounts, help in innovating loyalty points administration, helps undertalke market driven promotions, centralized stock maintenance, etc. Helps create BOM (Bill Of Material), accomodates the ad-hoc specific requirements of make to order, takes into account both in-house production or outsourced production on job work basis, helps manage bill payments of job workers effectively and manage the core business efficiently. helps manage number of ShopInShops at multiple locations, help control inventories, keep a track of stock returns, etc. Manage N number of SIS (shop in shop), Invoicing of multi location, Inventory control, Return to store (RTB) and Reconciliation / Settlement. The purchase order of SIS customers will be enter as sales order for Company/ Vender.The respective sales from company warehouse will be imported as purchase in SIS locations leading the stock.Secondary sales or retail sales of SIS locations can be collected from SIS Company in a specified excel format and will be get imported to ERP for the Analysis only on stock or accounting reflection or entry will come.Settlement file can be collected or ready to import to ERP and the respecting sale or sales return for the settlement month will be created for analysis. Garment production from finished fabric or grey fabric defined productions process /route wise. Generic definition of BOM for single unit of garment or batch-wise with batch Cost & quantity. Now all tier III or tier 4 cities along with all tier I and II have great potential , even rural retail is a booming concepts. Above to these staff are spreading across country in all leading Large format stores as every brand manufacturer spreading their business horizon on shop in shop format. Thus a new upcoming challenge is in front of Payroll department , how track the attendance and leave processing with dully approved by respective senior sales staffs. LOGIC extends it payroll and leave tracking modules to the reach of these levels. Companies involves in distribution business keeps stocks at distributors side , they push the sales through their sales staffs. Here remote located staff need to see the item catalogue, need to maintain DSR and expenses sheet . More to these dealers and retailers now days want to view the item catalogue online and provide their order online, even if commission agent also looking to track their customers transaction with company. Some time company goes for order booking on exhibitions and Hotels, unable to carry all styles and category to display there. Hence challenges now on internet ages created how to handle such above requirements. 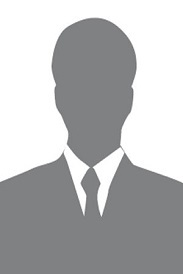 Above to Dealer / Distributor business, there more about sales agent like buying agent. The agents get their commission as per billing to retailers or distributors. The facility at Logic ERP calculate the commission report for them. Demand of product need to produce with the stipulated time span. This is the concern of any garment company otherwise there is a loss of sales opportunity. The export order or order booked from booking across cities need to be plan for the production floor. Logic ERP facilitates creation of work order from plan as well as order booked. Logic Enterprise an extensive functionality to create purchase order with reference to job order / production order. Business demands profits, Loyalty Programs needs financial budget to run. Profitable Articles can be given more discounts and this discounts will be modified to loyalty engine just to attracts, retain the customers and enhances the Loyalty to lead a better brand awareness. Thus generalized customer centric loyalty points earning is gone years fundamentals. Current scenario demands merchandise category and demography specific loyalty management. Our expertise in providing integrated ERP Software, Retail & POS Software to thousands of customers till date, helped them to meet their business goals. 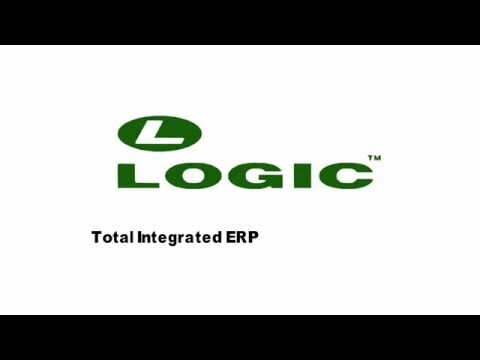 ERP solutions developed by LOGIC are characterized for its flexibility and scalability to aide in business growth of the customers in the time ahead. Cost-effective solutions that are designed for specific needs and verticals, help mid-sized to large business ventures to address issues, review business performances and assist in making strategic decisions to thrive in the markets. Q. How ERP system can help my business? ERP systems help organizations to have greater insight and visibility into their different organizational operations. It permits you to have a 360 degree view of your entire business. Our software will help you to get a higher level of customer satisfaction by improving the flow of the process. You will not encounter accounting errors anymore. Q. How do you provide License of your Software? Like all other ERP software, our software is not sold, we only provide license for it. You can get the license of the software on the basis on account of the user. That means, we provide you the license and you can use it on specific number of instances. Annual Maintenance Charges are deducted for updates and installments after completion of the year. Q. What supported platforms are required for your software? Our system works well on the Windows based operating systems. The big name of Microsoft is enough to prove the scalability, security, flexibility and authentication for your system. We also incorporate the latest technologies for the development of various modules.